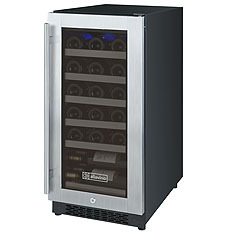 With Allavino, Danby, Vinotemp and more, Beverage Factory has the top names in Wine Cooler Refrigerators right here! 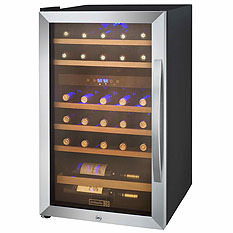 Beverage Factory has a huge selection of all Wine Coolers and Refrigerators from 6 bottle Compact Models to large Dual Zone Wine Refrigerators and everything in between. 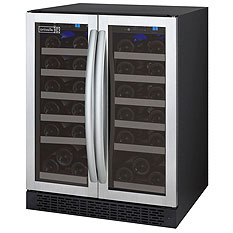 Whether you need a Commercial Wine Cabinet for your business, an Outdoor Wine Fridge or an Undercounter Wine Cooler, Beverage Factory has all your Wine Refrigeration and Cooling needs covered! 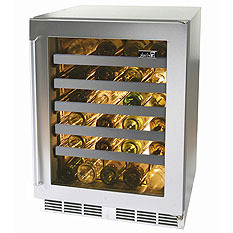 Whether you are an avid wine connoisseur or just beginning your new collection, Allavino has the wine cooler to fit your needs. 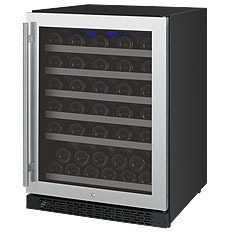 Whether you're looking for a 12 bottle Wine Cooler or a huge 149 Bottle Single Zone Wine Chiller or anything in between, we've got the perfect Avanti Wine Cooler for your home, bar, restaurant or other business. 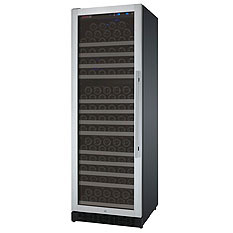 Whether you just entertain at home or are a professional with a restaurant, you need a great Wine Cooler, and Danby has been providing quality products to North America for over 60 years, building a reputation as a leader in the industry. 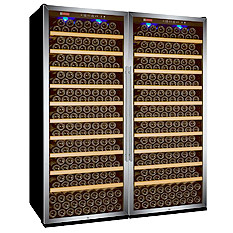 Made by the oldest refrigeration company in North America, Marvel's Wine Cellars are designed specifically to target the crucial properties of proper wine storage while remaining 2X more efficient than competing models. Each wine reserve is handcrafted with Rieslings, Merlots and everything in between in mind. Full-extension wine racks on stainless steel ball-bearings offer smooth movement of shelves in and out of the reserve. 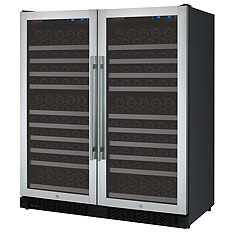 From wine students to oenophiles who like to stock up on their favorite varietals, Summit offers a wide variety of built-in undercounter wine cellars, full wine capacity slim upright fits, and side-by-side French door wine refrigerators. Combining modern cooling technology with high style such as their signature touch screen temperature controls, Vinotemp has a wide variety of wine coolers to accommodate any need of beverage cooling you may have. With a gorgeous wine preservation system from WineKeeper, you don't have to finish your bottle or feel guilty about wasting it. 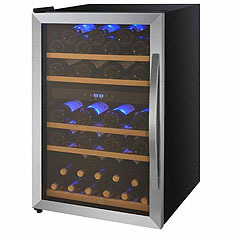 A top choice of fine hotels and restaurants, these wine cooler and wine dispensing systems can even sit on your home bar!